You are here: Home / crafts / 30 Minutes or less / Painted Rocks – creating community through art! Painted Rocks – creating community through art! The craziest thing happened this summer where I live. A group of people started a rock painting movement. Now I know this doesn’t sound like much, but by the end of the first month the Facebook group for this movement had over 10,000 members. My Facebook notifications have been have been overrun with pictures of people hiding, finding and painting rocks. You have a couple of options for this project. You can lay out newspaper or plastic on a table inside or you can setup outside and avoid the cleanup part all together. Then you’ll need rocks, paint and brushes. Any size, shape and color will work. Then let them paint! You can go as fancy, abstract, colorful or monochromatic as you want. I have seen some amazing rocks painted by others, as well as some that are clearly done by a 1 year old. For this project skill is not necessary! Once you are done painting, set your rocks off to the side and let them dry completely. Once they are dry, you’ll need to seal them. You can do this any number of ways. I prefer a clear spray sealant, however Mod Podge works great too! Once the sealant has dried it’s time to “hide” them. Now if you have a “rocks” group in your city already great, if not perhaps you can start one! It’s been an amazing positive impact in our community. People are getting outside and walking around more than I have EVER seen in my town before. We take a lot of evening family walks and normally all is quiet and we don’t see a single other person. Last week on one of our walks we passed dozens of families and couples out walking around the neighborhoods rock hunting. Everyone was laughing, talking, comparing finds…amazing! 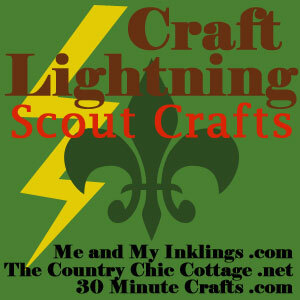 For even more lightning fast crafts click the button below!